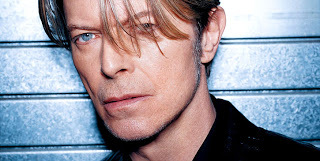 How else can we explain the prevalence of David Bowie covers “out there”? Certainly Bowie is nothing like folk — his stylistic pose and chameleon-like personality are antithetical to the authentic and direct relationship between artist and audience that characterises folk music. Neither is his broken-glass poetic imagery and trope terribly folk, though I suppose one could make a case for the odd science-fiction motif as resonant with the same audience as modern folk music, and surely some of today’s choice cuts reveal some storysong structures and cultural journey motifs common to much folk music. Today, a few choice covers from the surprisingly vast spectrum of David Bowie songs performed by folk musicians. Play ‘em in public to watch two generation of cool kids smile as the songs in their heads come back to life, stripped down and stretched out, in spades, in style, and in beauty. This Bowie-esque popfolk cover from urban folk goddess Dar Williams was produced and distributed via Dar Williams’ fanbase; they own her albums, and so should you. A dreamy post-pop tour de force from the cusp of her turn towards alt-folk, though the bass and electric guitar slide into the chorus are a blast from the past. Live, from New York, it’s Natalie Merchant. Alejandro Escovedo‘s live roots-rock recording is admittedly rough around the edges. But like all his recorded work, it’s got a rhythmic playfulness and energy out the wazoo. A slowbuild backporch slackstring folk-blues; the storysong of an American awakening. My absolute favorite Bowie cover. Ladies and Gentlemen, Danny Michel, from Loving The Alien. As always, all performer and purchase links go to the artist’s preferred source for music purchase wherever possible. Buy music, spread the word: support the artists you love, so the next generation might cover them in turn.